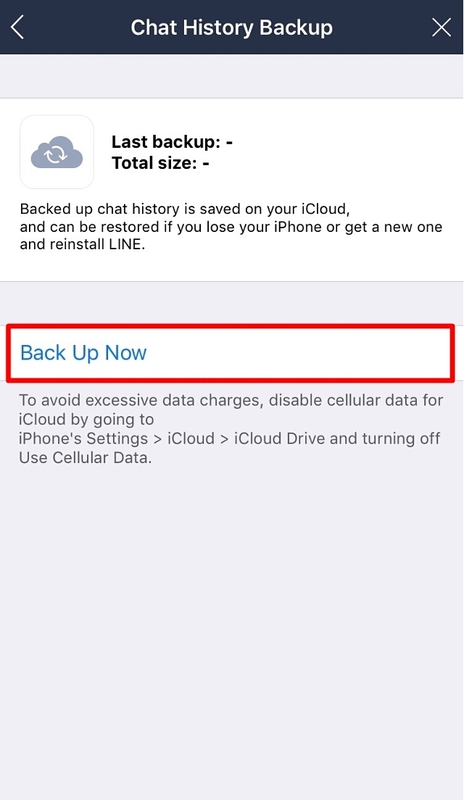 To restore your chats, turn iCloud Drive ON before transferring your LINE account. If you've already transferred your account, please reinstall the LINE app. 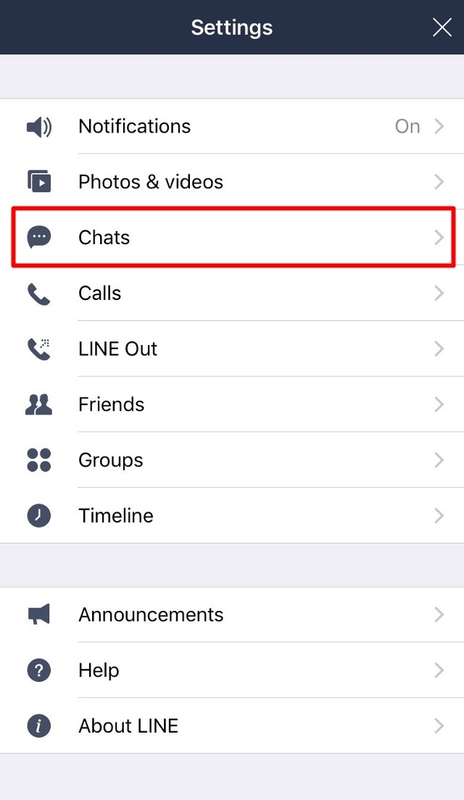 - You cannot restore your chats from the LINE app's Settings. - Images and stickers that were sent in chats cannot be restored. 1. Turn iCloud Drive ON. 2. Transfer your LINE account to a new device. 3. 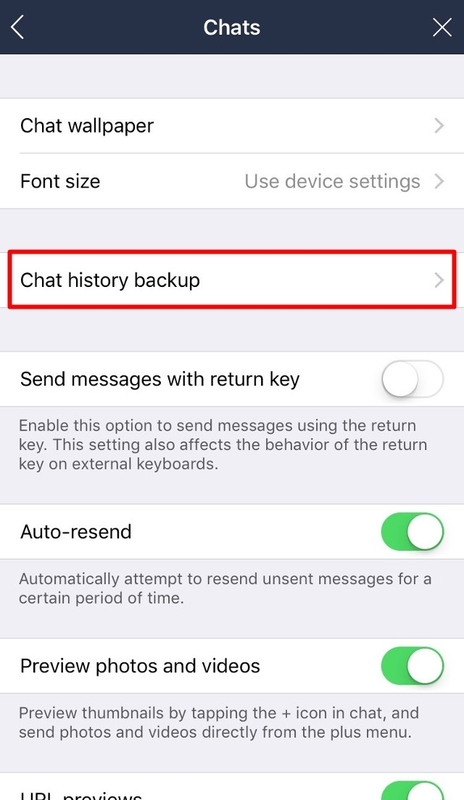 Once the screen to restore your chat history appears, tap Restore chat history. To change your iCloud Drive settings, please follow the steps below. Note: Make sure to log in to iCloud with the same Apple ID you used to back up your chat history. 1. From your iOS device, tap Settings > your name at the top of the screen. 2. Tap iCloud > turn iCloud Drive ON. Note: If different screens appear on your device and you cannot follow these steps, please contact Apple directly. You can now search for messages in a chat room from LINE version 7.6.0. 1. Tap the V icon at the top right > Search. If you want to search through messages in all of your chat rooms, please see this Help article. 1. Tap the search box at the top of the Chats screen. 2. Type what you're looking for in the box. 3. Check the option for All chat data > tap Delete selected data > Delete data. 1. From the Chats tab, select a chat room > tap “V” at the top > Settings.